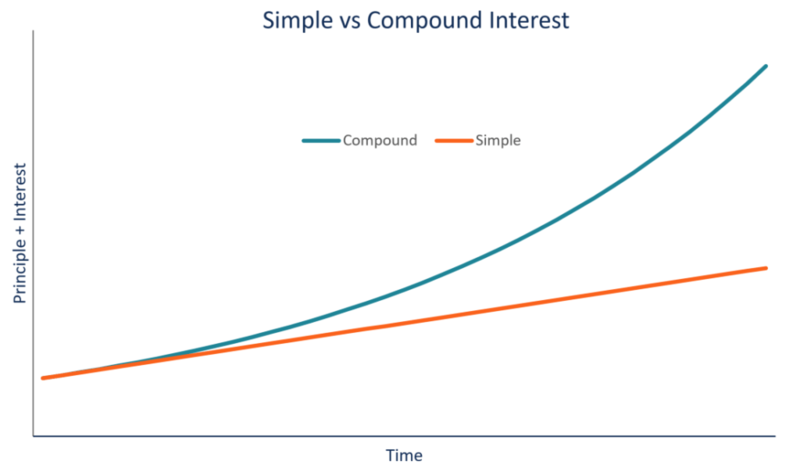 Simple interest is a calculation of interest that doesn’t take into account the effect of compounding. In many cases, interest compounds with each designated period of a loan, but in the case of simple interest, it does not. The calculation of simple interest is equal to the principal amount multiplied by the interest rate, multiplied by the number of periods. For a borrower, simple interest is advantageous, since the total interest expense will be less without the effect of compounding. For a lender, compound interest is advantageous, as the total interest expense over the life of the loan will be greater. The period must be expressed for the same time span as the rate. If, for example, the interest is expressed in a yearly rate, such as in a 5% per annum (yearly) interest rate loan, then the number of periods must also be expressed in years. Note that sometimes changes to interest rates may be expressed in basis points (BPS). It may be worth your while, as a financial professional, to learn how to convert BPS into interest rates. If the interest rate is expressed as an annual figure, but the relevant time period is less than a year, than the interest rate must be prorated for one year. For example, if the interest rate is 8% per year, but the calculation in question calls for a quarterly interest rate, then the relevant interest rate is 2% per quarter. This 2% per quarter is equivalent to a simple interest rate of 8% per year. This is not the same, however, in the case of compounded interest. Mr. Albertson plans to place his money in a certificate of deposit that matures in three months. The principal is $10,000 and 5% interest is earned annually. He wants to calculate how much interest he will earn in those three months. Sara wants to borrow money from her mother, and she is offered a five-year, non-compounding loan of $7,000, with a 3% annual interest rate. What is Sara’s total interest expense? Bonds pay non-compounding interest in the form of a coupon payment. These coupon payments are not automatically reinvested/compounded and therefore are an example of simple interest. It may be surprising to learn that most mortgages are based on non-compounding interest. Even though the principal payments vary, the interest is always considered as currently paid in full, and thus there is no compounding effect on the interest itself.